It's as if you are waking up at a Scandinavian lake. 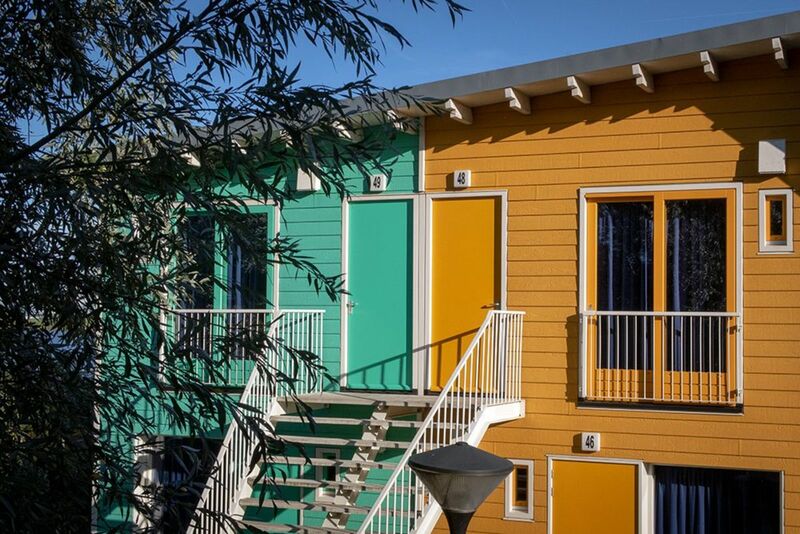 Yes, the brightly colored wooden eco cabins might just fool you. They can also survive the Nordic weather. Thanks to the sustainable grass roof and the underfloor heating, the cabin will always be comfortable. And it will definitely be heartwarming if you reserve a nice spot by the waterfront or on the second floor. Be sure to book soon, especially for high season! Please note that you need to make one reservation for 2 eco cabins. It is important that you arrive and depart together. 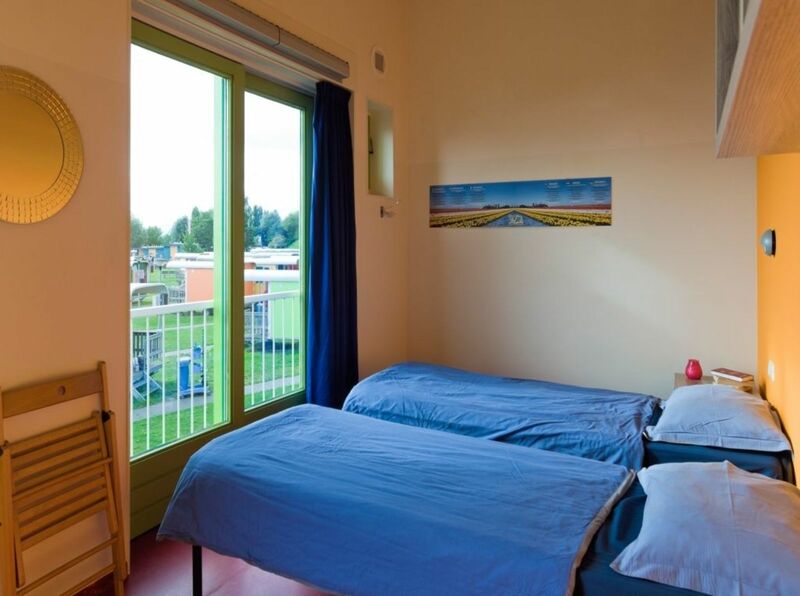 For this kind of reservation you will pay € 10 extra.